As members of the traveling troupe, we represent Yeshivah of Flatbush by going to old age homes, and special organizations to perform for adults and children. The purpose of traveling troupe is to lift the spirits of people with music. 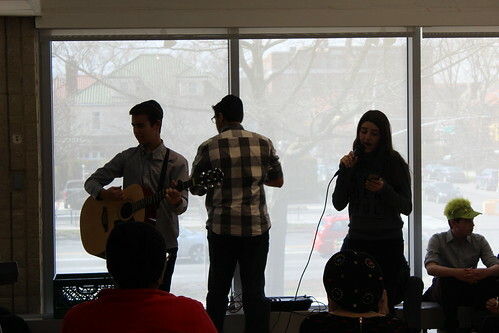 Not only are we doing chesed but it gives us the opportunity to perform what we love in front of people. It's a perfect opportunity to express ourselves. By participating in the traveling troupe we learn to appreciate music in different lights, while doing a mitzvah at the same time. The students learn that chesed should be a part of our daily lives and that self expression is also a priority. This chesed opportunity provides a fun day for the people we perform for, and also the students as well. 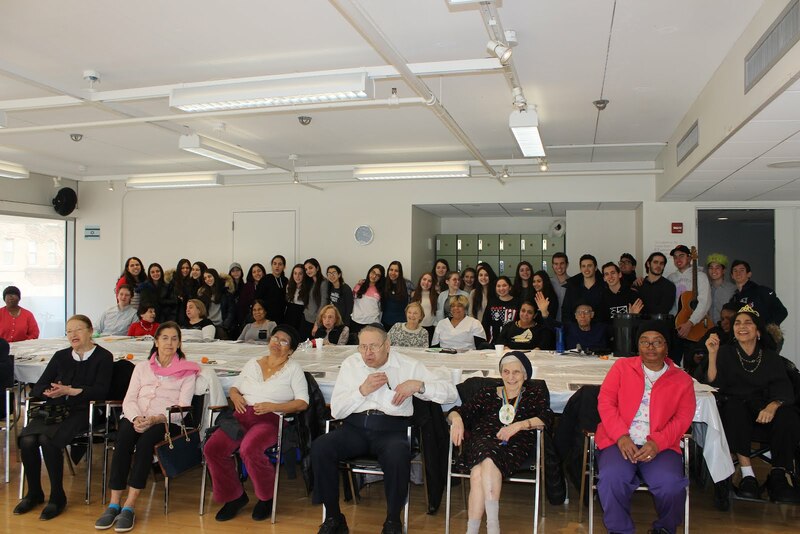 On Purim we visited the Sephardic Community Center and performed for adults with Alzheimer's and other forms of memory loss. We had over 30 students that day and we were really able to lift the moods of these people with music. Each performer offered something different and the adults enjoyed clapping along or singing along with each song. There's a certain unexplainable feeling that comes along with providing happiness and excitement for somebody, even if it's just for a small amount of time. We're so lucky to be able to have this opportunity. 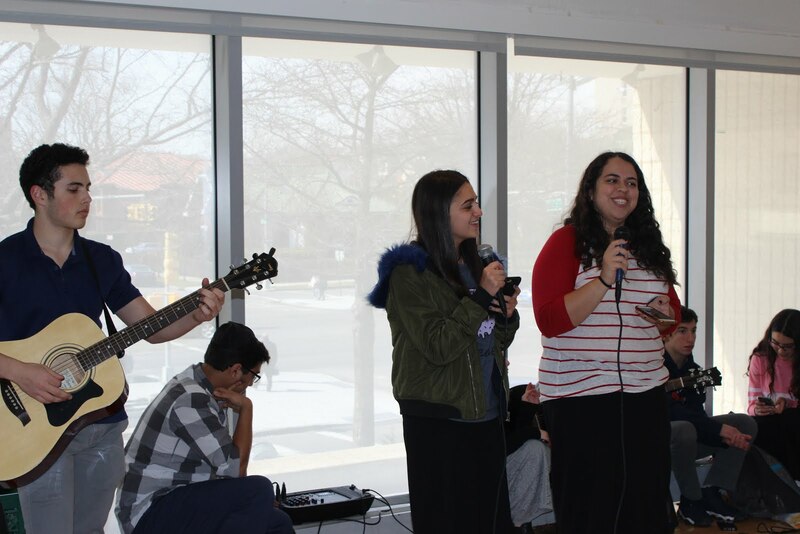 We look forward to many more opportunities to do chesed while performing our favorite songs and doing what we love.